feature The easiest way to get a feeling for how swamped Australia’s technology sector currently is with cloud computing products and services is to attend one of the daily lunches which the industry’s top companies are so fond of hosting. At a glitzy restaurant such as Neil Perry’s Rockpool chain or overlooking the Sydney Opera House at Aria, you will find exhausted technology analysts from firms like Gartner and IDC, who have attended so many cloud computing events over the past few months that you can tell they would almost rather emigrate to a less advanced country than have to think about the issue ever again. The reason for this is probably self-evident to anyone who has spent any time investigating the matter. A normal technology refresh cycle – for example, the shift from legacy PABX systems to unified communications – might see half a dozen vendors drastically revamp their product lines in the same year. But, as VMware’s local managing director Paul Harapin has recently pointed out, cloud computing is not a discrete product, but rather a way of thinking – a journey. And that journey involves the integration of products and services from many different vendors to build unified infrastructure platforms. This means that literally almost every major technology vendor is locked in a desperate struggle right now to articulate exactly which piece of the cloud computing pie it wants to sell. Add in the IT services companies, local telcos and even, in the case of large organisations, different sections of your own IT department, and it all begins to sound like one big cacophony of voices yelling “Cloud! Cloud! Pick me!” at the same time. It gets even worse when you bring the private cloud into the picture. Despite the fact that the trends which have given birth to the strength of the private cloud in Australia are relatively clear, each vendor has their own different definition of what private cloud means in their own context. So how is the canny CIO to work out what sorts of services each vendor provides? Over the past several months, we’ve asked several dozen vendors who claim to provide private cloud services in Australia to go into detail about their services. Over that time, it has become apparent that one of the easiest ways to classify different types of cloud computing services is by the size of the customer rather than by different categories of vendor – as many vendors will claim to provide most types of services to most types of customers. Firstly, we have the top tier. Take Westpac, for example. The bank revealed several weeks ago that it had deployed its own private cloud computing facility within its operations. However, instead of commissioning a large IT services provider to manage the infrastructure for it, the bank utilised its existing resources and drew upon the cloud product set offered by the VCE consortium – VMware, Cisco and EMC. 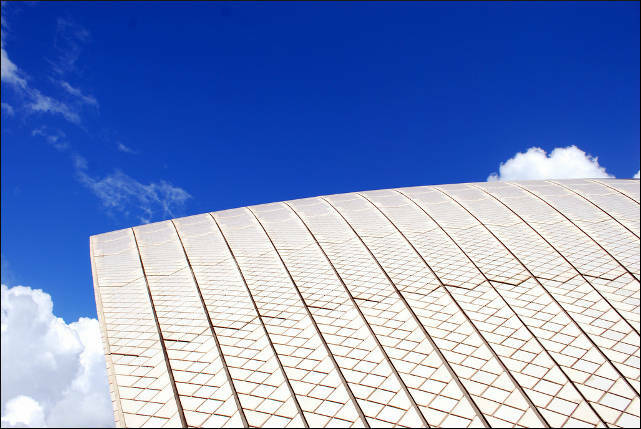 The Commonwealth Bank of Australia, too, has revealed plans to deploy its own cloud computing environment. Unlike Westpac, CBA appears to have only deployed a certain amount of its own infrastructure in-house, with plans in place to outsource the vast majority to an external provider. However, the bank is big enough and tough enough that it will not simply accept whatever architecture outsourcers pitch to it. iTNews reports that the bank will ask that all cloud services be delivered on the mandated ‘cloud architecture’ that it has set as its standard virtualised infrastructure stack. Westpac and CommBank are examples of organisations that are large enough to be able to dictate to suppliers exactly what sort of solution they are after, and buy directly from the top hardware and software brands if necessary, rather than having standardised managed services provided for them or going through an intermediary for the products they are buying. They can afford to be the exception, rather than the rule. Like most organisations implementing private cloud, the big guns have started off bringing testing and development environments into the cloud; but collaboration is following, through platforms such as Microsoft’s Business Productivity Online Suite, for example. This is a trend that can also be followed down through the next class of providers. The next step down the private cloud implementation ladder is the sophisticated private cloud and and managed cloud offerings being currently being put together by major IT services organisations like Fujitsu and CSC, as well as — increasingly — large telcos like Telstra and Optus. And these sorts of solutions have a certain grade of service. The difference between the services being plugged here and those being implemented by the likes of Westpac is one of standardisation. And the difference between these offerings and some others in the market is often the bundled toolsets that allow customers greater control. Baty believes without these sorts of systems, what many organisations are terming a ‘cloud’ may in fact just be a datacentre. Fujitsu sees several different layers of cloud services in this tier. Baty says they range up the stack from infrastructure as a service (storage, network and processing power), to applications as a service in the cloud, and then up to what he calls “activity as a service” – for example, a service provider providing mortgage processing for a finance company. The final step is content as a service. For example, an agriculture company getting real-time access to monitoring data it wouldn’t be able to access if it wasn’t provided through an on-demand model from the cloud. There are several differentiating factors between these sorts of organisations, but one of the key factors it comes down to is what software and hardware stack they’re using. The VCE consortium’s product stack is popular amongst this top tier of IT services providers — as is the merger of telco-level infrastructure with more traditional IT knowhow. Optus, for example, is utilising the VCE stack. Telstra wouldn’t say at its big cloud computing launch last week what underpinning technical architecture it uses, but iTNews has reported the company’s infrastructure as being based on Cisco’s blade server platform, with a combination of EMC and NetApp storage with BMC software for automation and service management, and HP for monitoring. Fujitsu chose a fair chunk of its own branded hardware for its platform — which it says gives it a strong degree of confidence in its ability to deliver resources globally — but also uses Cisco equipment, with Symantec providing backup and recovery solutions, CA portal software and even Microsoft on the billing side. And of course, all of the private cloud providers use VMware as their primary virtualisation platform. Most agree there is no real alternative. Other companies use different stacks. For example, HP strategic marketing executive Paul Schroeter (from the company’s Asia-Pacific + Japan Software & Solutions division) points out that when it comes to private cloud, all of his company’s differing divisions come together to work on solutions. The company has its own network, server and storage assets, as well as management software. And the services component can be brought in from HP Enterprise Services (formerly EDS). Fujitsu’s Baty says the tough part of getting his company’s platform in place was actually the commercial arrangements with its partners, not the technical details. Problems such as how to pass on expenses and billing for new on-demand models had to be worked through, he said. One of the other giants in the market – IBM – hasn’t been as vocal as its rivals about cloud computing in Australia. However, internationally the company has been active – announcing in February that it would design secure cloud computing infrastructure for the United States Air Force. And the company has many of the same software and hardware assets that go into the private cloud computing stack as HP. Unisys, too, has a strong presence in private cloud, but also has been a little understated so far in the local market compared with some of its rivals. Two common threads running through this tier of service providers are the push for more transparent pricing details, and the integration of infrastructure with higher value IT services. Optus remains one of the only high-profile Australian cloud computing providers to put a price on its infrastructure – the company will provide its services as ‘slices’. A typical slice would allocate 0.5GHz of CPU power and 1GB of RAM, for $125 a month. Two pricing tiers are available for storage – high performance at 60c per gigabyte per month, and ‘economy’ at 30c. And both Optus and Telstra are attempting to bond their telco-based infrastructure power with the relationship-selling skills of traditional IT players. For example, the telco side of Optus is working with its IT services subsidiary Alphawest on its cloud project. And Telstra has partnered with IT services giant Accenture, which will focus on applications on top of Telstra’s infrastructure. Ovum research director Steve Hodgkinson recently noted that this partnership approach was sensible, given the cautious nature of the market. Telstra’s main challenge, the analyst said, would be its ability to adapt its telco-centric marketing and sales operations to selling and servicing “this more complex IT-centric relationship sale”. If the traditional IT services players and larger telcos are getting stuck into the private cloud market in a big way, so too are smaller hosting players. And they are using much of the same technology — with a slightly different scale and emphasis. Melbourne IT chief technology officer Glenn Gore points out the company has “strong” experience in running both dedicated and multi-tenanted hosting infrastructure. “Melbourne IT has operated Australia’s largest multi-tenant hosting environment for more than 10 years – it is in our DNA,” he says. The big traditional IT services vendors probably look down on Melbourne IT as being a more infrastructure-based company – and with a strong history in the consumer space courtesy of its domain name business. But the company points out in some ways it’s ahead of the curve. In one example, Melbourne IT was the only beta customer outside of North America for EMC’s recently launched VPLEX virtual storage solution. “This means we are at the forefront of new data centre and virtualisation technologies and can offer new capabilities to customers faster,” Gore says. Adrian Britton, head of technology & innovation at another hosting specialist, Hostworks, talks about the company’s Elastic hosting infrastructure primarily in technical terms – virtual machines being created, applications deployed and so on, but there is no doubt the solution shares much with the platforms which the more traditional IT services players are hyping from a higher level. The company recently picked HP’s BladeSystem Matrix platform to underpin its extensible infrastructure, and Britton says it got its first real test with the delivery of SBS’ online resources during the recent World Cup in South Africa. “It was 100 percent successful – SBS have been delighted with us,” he says. Unlike most of the traditional IT services players, Hostworks’ platform is broadly focused on delivering internet-facing applications, consisting of web servers, middleware, supporting databases and so on. “All of which are set up to grow and contract for consumer demand,” says Britton. And many of the same delivery mechanisms are present in this ‘cloud’ as are present in those of other companies – with compute power being able to be delivered on a discrete basis and ratcheted up or down at need. And even smaller telcos like iiNet are getting in on the act. iiNet’s advantage in the arena, Harley says, is that the company’s datacentres are carrier-grade, a level which is attractive to some clients. The emphasis which companies like Hostworks, Melbourne IT and iiNet place on their cloud infrastructure is different from that that the major IT services giants and telcos place on theirs. It’s perhaps a little more about the technicalities of the infrastructure and less about the really high-level outcomes. But there is no doubt such companies are applying the same principles of private cloud computing to their offerings as their larger rivals. If you examine the private cloud providers that we’ve discussed so far, you’ll find a common thread – whether it’s a company’s own internal IT department, an IT services giant, a telco or a hosting company, the providers we’ve examined so far are all fundamentally services companies: They take other people’s products and build value around them. But there are a variety of other companies purporting to offer private cloud services in the Australian market which are different again. For example, Japanese storage giant Hitachi Data Systems offers what it calls its Cloud Service for Private File Tiering – a service which will move “legacy or lower value file data” into a private cloud located within a customer’s firewall. Software giant Red Hat sells what it describes as ‘Cloud Foundations’ – a set of products ranging from virtualisation to cloud management, operating system software, middleware, application management and scheduling and so on, that together with reference material deliver the necessary software ingredients to create a private cloud. “Red Hat builds on its open source and open standards heritage to let customers incrementally build comprehensive private clouds without locking them into a single vendor’s monolithic stack,” a company spokesperson says. Business intelligence software company SAS says its Hosted offering means it can effectively take almost all of its offerings and deploy them in a private cloud – including specialised software to assist with such deployments. And firms like Oakton and Capgemini appear to be primarily focused on providing consulting services around cloud — with neither placing a big emphasis on their own infrastructure, although Capgemini does provide quite a bit in the way of implementation and application management. It’s clear that none of these companies are building infrastructure in the same way as the majors. But are they still playing in private cloud? Of course they are. Out of all the companies that we spoke to for this feature, the most diverse was Microsoft. The company’s cloud offerings span the full gamut. It offers public cloud infrastructure in the form of its multi-national Windows Azure platform, which has already been adopted for extra processing power by some Australian organisations – such as investor services group Computershare. Then too, it operates consumer and small-business cloud products like Hotmail, Bing and Office 365, and professional cloud collaboration platforms such as its Business Productivity Online Suite, which is hosted globally (in Australia, in partnership with Telstra, the product is part of the telco’s T-Suite platform). More significantly for those interested in private cloud, Microsoft already has a growing presence in the virtualisation market through its Hyper-V offering, and it is seeking to bring its Azure platform to geographically discrete areas in an ‘appliance’ model, partnering with companies like Fujitsu to do so. And some companies like CSC already offer hosted versions of Microsoft Exchange, for example, dubbing such options ‘cloud email’ and hosting them in segregated private clouds. “We probably are quite unique in playing in all those areas,” says Phil Goldie, the director of Microsoft’s Server and Tools Group in Australia. This position – straddling the entire industry – gives Microsoft somewhat of a different viewpoint on private cloud than most. Goldie says the company is definitely seeing a change in the computing paradigm at the moment – a different way of thinking. But he notes that “cloud is not the answer to every problem”. A good example is the way that Microsoft offers several different ways for its customers to consume email services. They can buy its Exchange platform as an on-premises or hosted deployment (in a private or public cloud, onshore or offshore), or a mixture of all, with mailboxes hosted in different places. Ultimately, the Australian market for private cloud services is still evolving, and the complex nature of the services being provided makes them hard to compare between providers. And the array of products and services on offer is dazzling. But one thing is clear: No provider has taken a dominant position just yet. “The enterprise cloud market in Australia remains largely unexplored territory – a market awaiting a dominant leader,” says Ovum’s Hodgkinson. And it will likely remain so for some time yet. Image credit: Mackenzie and John, Creative Commons. Disclosure: Fujitsu sponsored this article series but had no input into the editorial content. Note: Due to the amount of companies who provide services, it was impossible to mention every provider in this article — it is not intended to be a comprehensive list, but to give a broad overview of the market. Additional reporting by Jenna Pitcher. Yes, you are forgetting us, we are one of the first true cloud infrastructure companies in Australia!